Rebel Playhouse presented the NYC premiere of the musical OLD TURTLE AND THE BROKEN TRUTH, with a book by Catherine Bush, music and lyrics by Dax Dupuy, and based on the book by Douglas Wood. Directed and choreographed by Sarah Sutliff with musical direction by Dax Dupuy, OLD TURTLE AND THE BROKEN TRUTH began performances on Friday, May 5 for a limited engagement through Sunday, May 21. Rebel Playhouse's production transported audiences into the faraway world of the Old Turtle and Little One in this immersive, musical adventure. OLD TURTLE AND THE BROKEN TRUTH was nominated for two 2017 New York Innovative Theatre Awards: Outstanding Musical, and Sarah Sutliff was nominated for Outstanding Choreography/Movement. Corrado Alicata (Lumberjack) has been seen acting regionally, touring, and in summer stock all over the country, and earlier this season off-Broadway in I’ll Say She Is: The Lost Marx Brother's Musical and Molasses in January. Some of his favorite roles he's portrayed are Bobby in Urinetown: the Musical and The Emperor in The Emperor's New Clothes. Claire Anderson (Fox/Costume Design) is a recent transplant from Houston where her credits include Houston Grand Opera: Das Rheingold, Die Walküre, Siegfried; Rushing Productions: Wake up, Mama! ; Texas Repertory Theater: Greetings! ; Main Street Theater: Madeline's Christmas, Best Christmas Pageant Ever, Magic School Bus Live! (Tour), A Little House Christmas; Black Lab Theatre: Our House, Theater Lab: A Contemporary American’s Guide to a Successful Marriage. Claire graduated with a BFA in Acting from Stephens College and studies with the Atlantic Theater School. Arielle Gonzalez (Miner) was recently seen in the critically acclaimed productions of Pedro Reyes’ Doomocracy (Brooklyn Army Terminal) and The Fall (2016 NYCFringe). In 2015, she assistant directed Small Mouth Sounds at Ars Nova under Rachel Chavkin. Selected performances: The Visitors (Queenie) at B.O.S.S.S Festival, The Matter (Dancer) at St. Mark’s Church, and Love Awkwardly (Charlotte) at Manhattan Theatre Source. BFA from NYU Tisch School of the Arts. Ryan Alexander Jacobs (Blacksmith) Favorite credits include: A Midsummer Night’s Dream (Puck) and Antony and Cleopatra (Philo) at Shakespeare Festival St. Louis, The Drowsy Chaperone (Gangster #1) and Alice in Wonderland (Tweedle Dee) at STAGES St. Louis, Beauty and the Beast (LeFou) at Variety Children’s Theatre, Me, Myself and I (otto) at Edge Theatre and The Little Mermaid (Jetsam) at Cape Fear Regional Theatre. Elena Juliano (Wife) Regional: Merrily We Roll Along (Mrs. Spencer/ens. ), My Fair Lady (Ens.). Previous credits include Carousel, Grand Hotel, 4@15: A Head in the Polls (Lynn), Royal Fables (Pea Princess), Pins and Needles, and The Iliad: Guerrillas at Troy with Continuum Theatre Company. BMA Music Theatre from NYU Steinhardt. Reanna Roane (Raccoon) Favorite credits include The Tempest (Torn Out Theater), All's Well That Ends Well (Shakespeare On the Sound), Much Ado About Nothing (Studio 1), Words of Choice: A One-Woman Show, and Ruined (Burning Coal Theatre Company), Junie B. Jones in Jingle Bells Batman Smells, and Stuart Little (UNC-Greensboro). Greer Samuels (Bear U/S) studied theatre at The City College of New York. He has worked as a teaching artist with The Boys and Girls Harbor, Ascension School, BASIS Independent Brooklyn, and Camp Half-Blood. He is a resident educator and actor with Galli Theater New York. He has also performed at The Secret Theatre and Harlem Repertory Theatre. Johnny Segalla (Crow) He has performed with Berkshire Theater Group, Barrington Stage Co., Berkshire Playwright's Lab, Shakespeare & Company's Fall Festival of Shakespeare and Sharon Tri-Arts. Recent children's theater credits include The Magic Treehouse: Soars With Reading National Tour (Jack) and 4+ years as lead actor/teaching artist with The Grumbling Gryphons Traveling Children's Theater (New England tour). André Sguerra (Bear) is a theatre, film, and voiceover actor based in NYC. Recent theatre credits include: The Real Wicked Witches of Halloween Hills (Robb Hob-Goblin), Magic Treehouse: Night In New Orleans (Jean Lafitte), Much Ado About Nothing (Don John). Arif Silverman (Farmer) is a recent graduate of Oberlin College, where he studied theater. 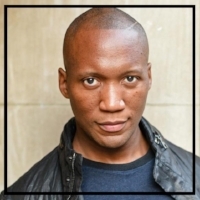 Recent credits include his one man show Constellarium (Dixon Place), The Tempest (Barnstormers Theater), An Octoroon (Dobama Theater), and Treasure in NYC (Kaiser's Room). Annabelle Szepietowski (Little One) is very grateful to be a part of this incredible production. Having graduated from LaGuardia High School (FAME), and most recently from the New York Film Academy's Musical Theatre Conservatory, this is her first production outside of school. Productions at NYFA include: The 25th Annual Putnam County Spelling Bee (u/s Olive); Readings: Faustus the Musical (Marianne), Joni (Joni), and The Anxiety Project (Hope). Mijon Zulu (Father) is from Rockland County, NY and is half Zimbabwean and half Barbadian. A trained classical singer he is overjoyed to be branching into musical theatre and making his debut NYC theatrical performance with Rebel Playhouse.